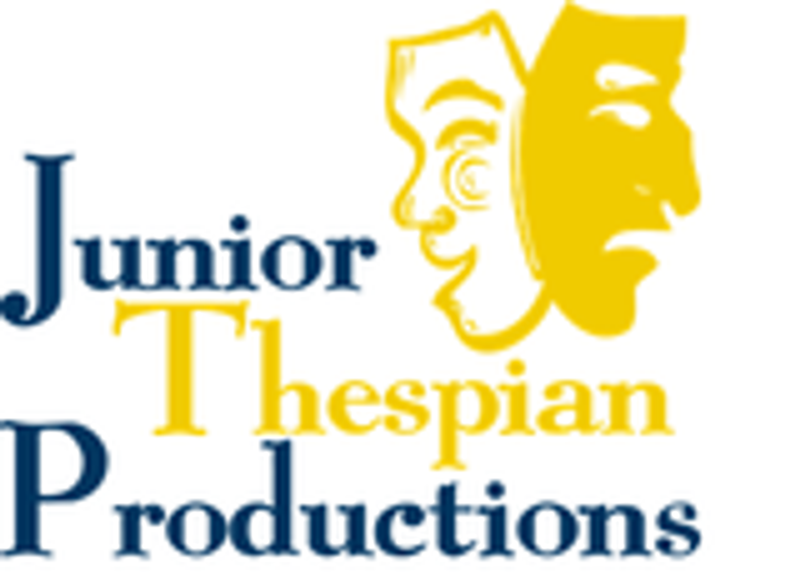 Junior Thespian Productions (JTP) is a Catholic School based, educational theatre organization which provides young people (ages 5 - high school, and some adults) with a unique opportunity to be an active participant in the musical theatre process as actors, singers and dancers. Through performances, students will grow in self-esteem, strengthen listening skills, learn to take direction, and establish new friendships. Learning self-discipline and responsibility enables the students to have a successful experience. Jeanne Nellesen and a board of volunteers started JTP in 1994. The first few productions were performed at St. Anthony Claret School. Since then, JTP has seen great growth. In 1999, JTP began performing their shows at the Servite Theatre. JTP has provided over 1600 students an excellent venue for training in the fine arts. The program has been recommended by professionals in the entertainment field as well as by parents and educators for its ability to teach Christ-centered self-esteem, teamwork and a positive attitude. JTP is truly unique. The rehearsals are organized and taught by a professional staff. During the registration/audition process students are grouped according to their ages and levels of experience. Throughout the rehearsal process students receive instruction in all areas of theatre craft. Each student's growth in the program is largely determined by their willingness to contribute to the process. COURTESY AND KINDNESS: How we treat one another and work together as an ensemble. INTEGRITY AND CHARACTER: Accepting the responsibility for meeting deadlines, completing assignments, adherence to attendance policies, and acceptance of consequence for choices made. SELF-CONTROL AND HUMILITY: Contributing to each other's growth by listening, encouraging, monitoring one's need for attention and being willing to share the spotlight. GENEROSITY OF SPIRIT: Sharing our gifts in gratitude to God. RESPECT: For the craft, for the material, and for one another. 2000: Fiddler on the Roof, Jr.
2003: Once on This Island, Jr.
2005: The Music Man, Jr.
2012: Beauty and the Beast Jr.
2013: Fiddler on the Roof Jr.
2015: Into the Woods Jr.